One of my friend is interested to go to Tokyo for a trip and was asking me for advise as she has no idea where to start. Since I visit Tokyo rather often, I decided to write a blog post about how to go about planning a free & easy trip to Tokyo. First and foremost when comes to trip planning, you will need to sort out your flights from Singapore to Tokyo. Tokyo has 2 airports, Narita and Haneda. Haneda is much closer to Tokyo then Narita but there are usually more flights into Narita than Haneda. Which to choose will come down to your own preference. Flying off peak will be cheaper. Avoid flying on a friday or saturday. Usually flying mid week will get you the cheapest fare. The prices ranges from low $600s to highs of over $1k during peak season. Other airlines worth checking are Delta Airlines and Cathy Airlines that do offer the low $600s during off peak season. Once you have sorted your air ticket, the next most important thing on your list - is your accommodation. 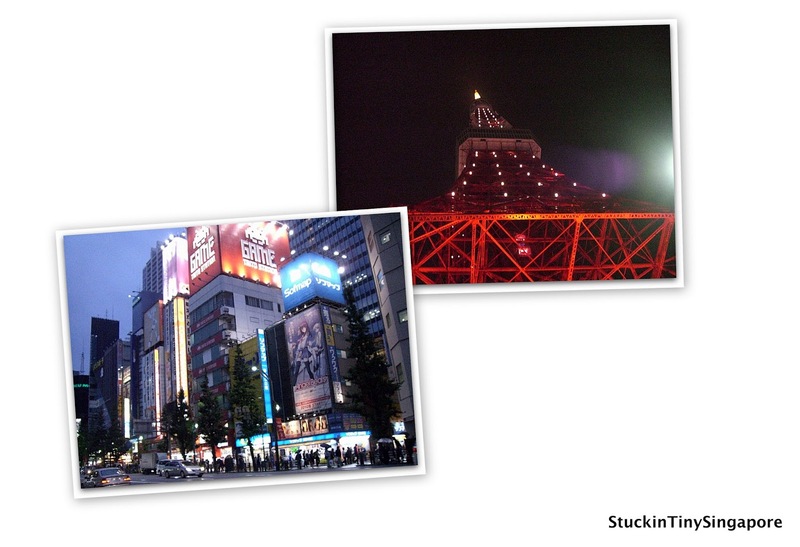 For information about tokyo's accommodation and where to stay, you can check out this blog post. It depends on how patient you are to trawl through more websites to find the cheapest deal. The above quotes in SGD. If you don't mind paying in foreign currency, you can check out more websites that sometimes give you an even better deals. Do comparisons between different sites, as from experience you may come across a better deal like breakfast or Wifi is included etc. If it is your first time in Japan, a popular tourist must-do is to stay in a Ryokan. A ryokan is a traditional japanese inn that features tatami-matted rooms and baths. Here you get to wear Yukata (summer kimono) and sleep on futons. During your stay, you get to enjoy hot springs bath and try Kaiseki (traditional Japanese cuisine). 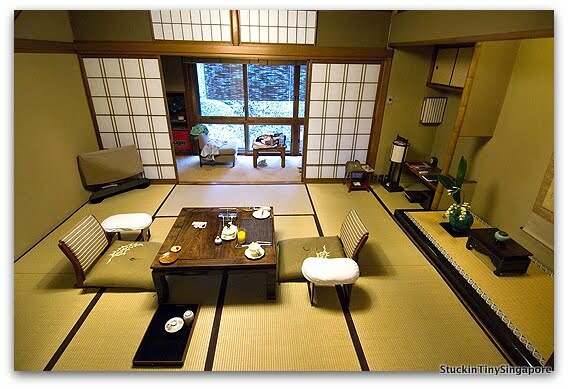 It can be quite costly to stay in a Ryokan, but bear in mind that your stay includes both your breakfast and dinner. It is worth to splurge a little to have a taste of traditional Japan. It may be difficult to find a Ryokan in Tokyo, but most tourists travel to Hakone to stay in a Ryokan. Here are some sites to have you to find/book one. This is a difficult area to have someone help with your planning as it is very individual. What is my cup of tea may not be yours. 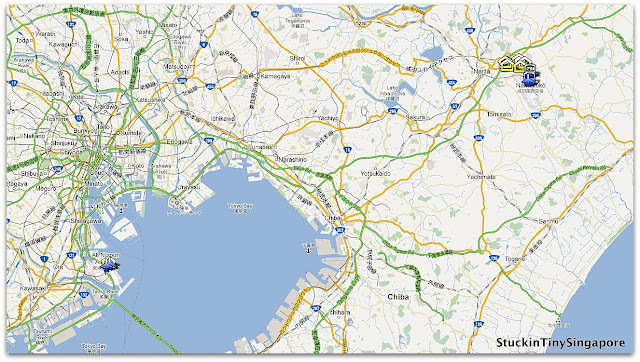 Here is also a website that you can use to read up more on where to visit in Tokyo - Japan Guide. They have listed attractions that you cannot miss on the website. Despite the fact that Tokyo is a huge metropolis that one can easily get lost in, her city transportation network is super efficient but can be to navigate. The best way to get around is to use either the Metro or Japan Railway (JR). 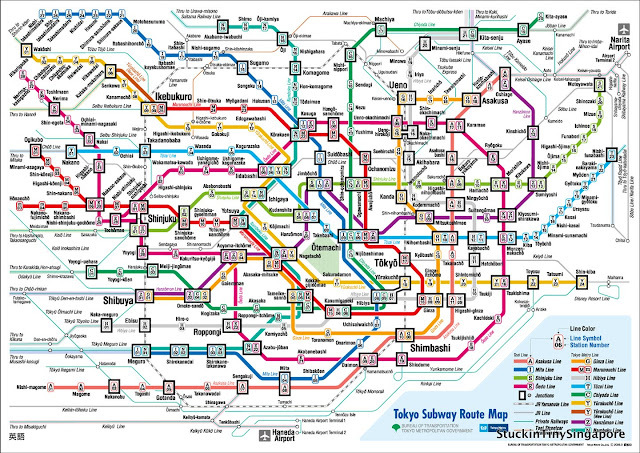 Do check out Japan guide's page for more detailed information on getting around Tokyo here. Tip 5: When to visit? Again this is your personal preference. Japan has distinct seasons and each season offers different things. I love to visit Tokyo during Spring and Autumn. Spring of course is for the Hanami (Cherry Blossom) season and autumn for the autumn foliage which is breathtakingly beautiful. Do bear in mind, those are also the times when it is peak season for tourists which means prices for air tickets and accommodation will be higher. If you still choose to go during peak season, it is always a great idea to book early to secure any good deals there are out there. Hope this post will have enough to help you start planning your trip to Tokyo. Look out for my other posts of Tokyo ranging from off the beaten track to great food places to check out. Glad I came across this nice blog... Can u also include more on traveling to and from major attraction like Disney (especially the subways and trains). Any place of interest is a must?